Today is the day, support SPOHP! 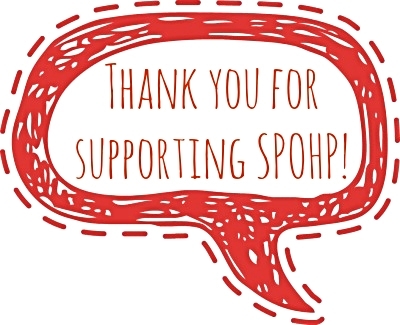 Thank you for supporting SPOHP's effort to gather, preserve, and promote histories of individuals from all walks of life! SPOHP is always ready to help our community partners, whether we're filming an event, facilitating a workshop, or spreading the word about new projects. Now we need your help! Gathering, preserving, and promoting the history of thousands of individuals is a public service that SPOHP carries out with a minimal budget. Summer is an important time to raise funds for the program so we can determine what we're able to accomplish in the coming academic year. 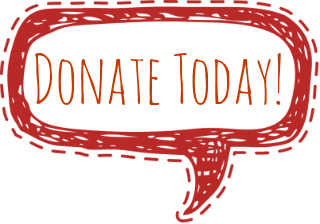 If SPOHP's resources have made a difference for you in the last year, please make a donation! Find out what we do with your support! This lively photo album is a highlight reel of the events, lectures, research trips, and interviews that SPOHP conducted in the last year thanks to your support. Your donation today will translate to many more memorable public events and fascinating resources in the approaching academic year. View the album here, and please consider making an online contribution to SPOHP today! Completed just in time for the 50th anniversary of Freedom Summer, this booklet features excerpts from the last seven years of interviews with civil rights veterans in the Mississippi Delta. Your contribution will help SPOHP create similar resources for the Veterans History Project and the African American History Project. Click here to donate. SPOHP's Archive at the UF Digital Collections is a cataloged collection of transcribed oral histories that is free and used by the public. The SPOHP staff is always transcribing and editing new interviews to share online, as well as refining older transcripts and recordings from SPOHP's pre-digital era. Your contribution will ensure that we can continue to preserve our collection. Click here to donate! Copyright © 2014 Samuel Proctor Oral History Program, All rights reserved.